Monday the third of September was a very ordinary day, full of ordinary things. Then I recorded it. David Charles is a British writer with a fascination for dialogue and verisimilitude. He spent twenty-four hours wearing a lapel microphone, recording his every utterance to produce a work that reads like one side of a conversation. A soliloquy, if you like. 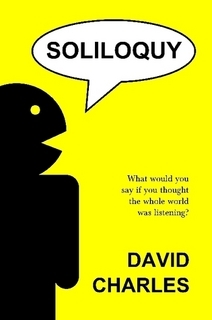 Soliloquy is available to buy from lulu.com for £4, excluding postage and packaging (£2.99 to the UK).